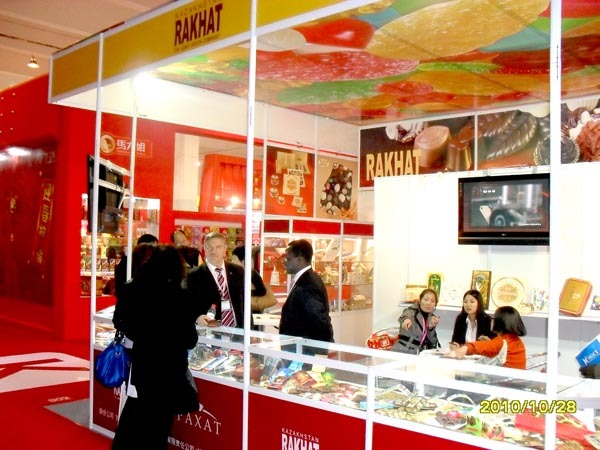 This autumn visitors of “Sweets China 2010” exhibition saw and tasted the products, which are manufactured by famous specialists of Almaty, who are the confectioners in the workshops of “RAKHAT” joint-stock company. Experienced in the field of organization of exposition and in consideration of specific and scope of exhibition complexes in China, employees of our factory have harmoniously included their exposition into the general view of exhibition; and they decorated it very originally. And it should be noted, that stand of “RAKHAT” JSC was advantageously distinguished from others by the successful configuration of its working areas and by decorations of exposition areas as well, that attracted the great number of participants and visitors of exhibition. And this caused more intimate knowledge of the sweet products of “RAKHAT” JSC; and consequently this caused enthusiastic reviews to tasting. 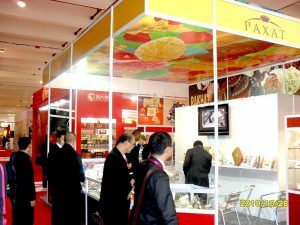 “Sweets China 2010”_3 Acquaintance with the wide range of chocolate products was the vivid impression for many local specialists. High-quality and really delicious chocolate increased the confidence of partners, who cooperate with our enterprise, in perspectives of commercial success. It has initiated the cooperation of our factory with great number of entrepreneurs of China. 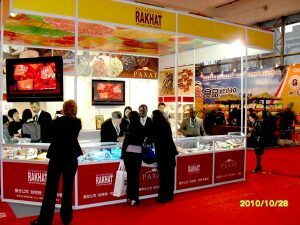 Products of “RAKHAT” JSC are well-known and recognizable for many representatives of small-batch companies and retail enterprises. This year at the concrete interests of these entrepreneurs to purchase our products we directed them toward the current importers, who are the partners of “RAKHAT” JSC in SUAR and in Kunming (south China).